Rita Bahuguna Joshi, the former Uttar Pradesh Congress chief, can consider herself to be lucky. 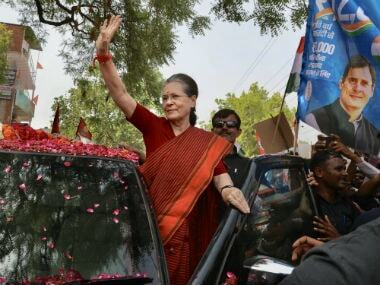 Her disillusionment and anguish with the Congress party and its leadership has made national headlines. She should perhaps consider sending a thank you note to her current party's de-facto chief, Rahul Gandhi, for making it all possible. Rahul, on his part, can only blame himself for bringing bad publicity to his party. Rita is past her prime and her disgruntlement with Congress and her possible exit wouldn't have made news waves had it not come in the immediate aftermath of Rahul Gandhi's month-long Kisan Yatra in various parts of poll bound Uttar Pradesh. After all, a headline about Rita's imminent exit from Congress would've been incomplete without a reference to Rahul. The spin doctors in the Congress party had been hugely successful in creating a favourable buzz around Congress until recently. They stayed busy by disseminating information about Rahul's road shows; pilgrimages to temples, mosques, madrasas, churches, gurudwaras, and khat sabhas (despite thin crowds, khat loots and a widely circulated video clip of the Congress vice-president expressing his inability as an opposition leader to put up "potato factories" for farmers); odd meals at Dalit households and worn out road side chai-samosa hutments. Subodh Ghildiyal wrote in the Times of India that, "in his 25 days on the roads of Uttar Pradesh, he (Rahul) has visited around 14 temples, three mosques, six dargahs, three gurudwaras and one cathedral. For a political odyssey aimed at shoring up the decimated fortunes of Congress in UP, the 2,500 km rough and tumble has been rich in religious symbolism and the underlying effort to convey a political message. Congressmen do not recall such a long list of religious places visited by a single party leader at one go even though they underline that none may have undertaken such a long road journey too." The problem for Rahul and the Congress party emanates from there itself. The timing of the news of Rita's disillusionment with her party and its leadership couldn't have been worse. This has punctured the party's hype around another one of Rahul's attempts to potentially resurrect himself and his party – through the Kisan Yatra. If he cannot even convince his party's most prominent face in UP of winnability or of improving the party's prospects, then how can he be expected to convince voters at large. 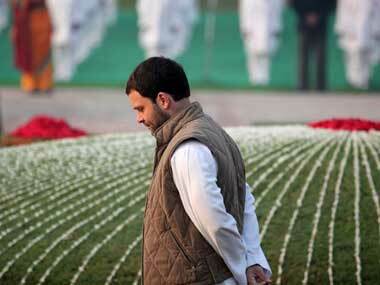 The setback comes at a time when the Congress strategists were busy planning yet another round of Rahul's shows in UP. This time around, the 'quota within quota' theme was formulated to target the most backward classes. It's true that Rita does not have a mass base but the fact remains that she is still the most prominent face of the two dozen odd Congress leaders that had won in the previous Assembly elections in 2012. In the upcoming elections in February-March 2017, she will face a formidable challenge from Samajwadi Party chief Mulayam Singh Yadav's younger daughter-in-law, Aparna Yadav. The prospects of her retaining the seat are actually pretty grim, if she does contest from that seat on Congress' ticket. Despite all that, she still is an important Congress leader in the state who had steered the organisational set up from 2007 to 2012. Like Rahul and Congress' chief ministerial candidate in UP, Sheila Dikshit, she too has the 'right kind' of family legacy. There in lies the second problem for Rahul, for which he could blame himself and his strategists, including Prashant Kishor. The Congress leadership in its own wisdom had been claiming that the road to the party's rejuvenation would go through the Brahmins, and that regaining their confidence and bringing them back in to Congress' fold was of utmost importance. The claim was based on the thinking that Brahmins were now willing to desert the BJP and return to Congress, thereby reposing faith in Rahul's leadership. Once that is done, party leaders believe that old social constituencies like Muslims, Dalits, MBCs would return to Congress and that the party would once again rule UP, and then ultimately India. Based on that somewhat twisted logic, Prashant Kishor floated retired three time Delhi Chief Minister, Sheila Dikshit, as the chief ministerial candidate in UP – who has the distinction of bringing Congress down to zero seats in the Delhi Assembly and of losing her own Assembly constituency. In the Congress leadership's considered view, Dikshit – the 78-year old daughter-in-law of veteran UP leader Uma Shankar Dikshit – would be a one stop solution to make Congress rise like a phoenix in the UP elections. 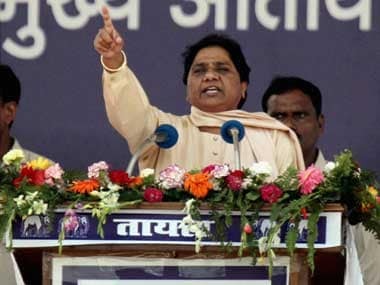 But while formulating the strategy of using Dikshit's name, Rahul and his team seem to have conveniently forgotten that if Brahmin caste and family legacy mattered for everything then Rita's credentials are far more formidable than Sheila's. Rita has always been rooted in UP while Sheila had made Delhi her base long ago. Rita's father, Hemwanti Nandan Bahuguna, has a name that resonates far more with the people of UP than Uma Shankar's. It was about time that Rita realised that the Congress party had no prospects in UP, least of all for her. Her possible exit from Congress would be a huge perception loss for Rahul and his party. A Congress leader very nicely put that in perspective: "In UP and elsewhere, we see an 'aaya Ram gaya Ram' style politics but unfortunately for us in the Congress there are only 'gaya Rams', we don't get any 'aaya Rams'. 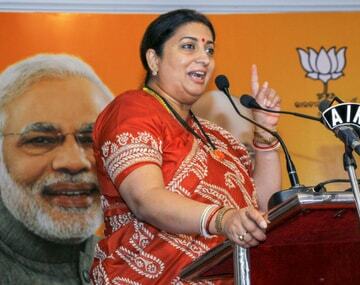 I wish for so many 'gaya Rams' in our party that we too could attract a few 'aaya Rams'." Rita's disillusionment and anguish with the party also needs to be seen in this context. Another senior Congress leader, who is part of Rahul's core team for UP, admitted to Firstpost that "it's a big image and perception loss for Rahul ji and Congress."